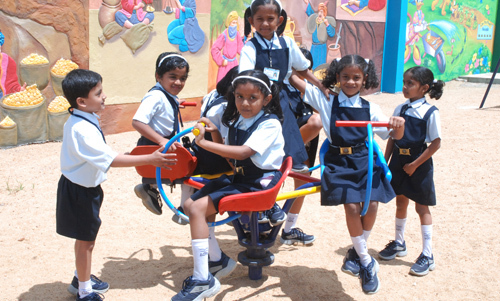 The Junior School Program at Gangothri International Public School comprises of Grade I to Grade V. These are the foundation years of education, where various skills, preferences and abilities are developed. 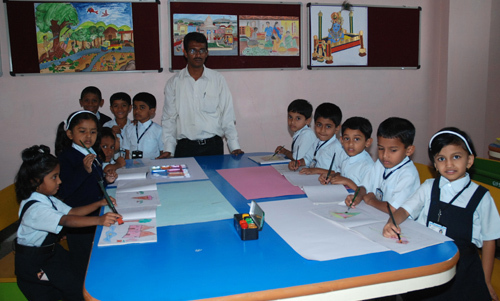 The School follows an integrated curriculum of the Council for the Central Board of Secondary Education. We recognize that children at this level have their own unique abilities, interests, aspirations and expectations. Therefore, our curriculum in these classes is structured to encourage and motivate them to become self-confident, self-reliant and self-disciplined, and thus help them achieve full potential. Our teachers use multiple learning styles to help students retain information and strengthen understanding. A variety of strategies and methods are used to ensure that all students have equal opportunities to learn. This form of teaching is similar to speaking - on a specific subject. This method also involves demonstrating with the help of teaching aids such as charts, models, flash cards, etc. Experimentation to demonstrate is used in a Science class. Demonstrations are given to provide an opportunity in learning through exploration and activity. 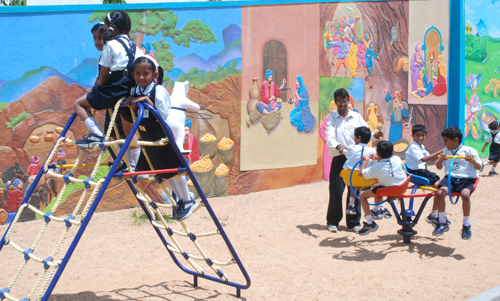 Children can learn from a number of informal methods like activities, projects, presentations and hands-on experiences, apart from formal learning; Teachers encourage the students to participate in the demonstrations. Students are encouraged to work in groups. Collaborating allows students to talk to each other and listen to all view points of discussion or assignment. It helps the students to think in an unbiased way. This lesson plan helps to assess the student's ability of working as a team, leadership skills, or presenting with roles. Teachers adopt new technology in teaching using Interactive board and multimedia. This method of teaching enables the students to have a concrete understanding of the topic as they are able to see actual photographs or view the videos of the specific unit for study. Students have access to the computer and the internet facility to complete their assignments. Simple project assignments are given to the students after a particular topic has been taught. This enables the students to "Learn by Doing". This project is planned for individual students or for groups of three to five students. Field trips are organized for the students to visit places, gardens, museums or study sites on the school campus to make learning an unforgettable experience. Periodic assessments are conducted and students are graded based on their performances. School follows a system of continuous evaluation and regularly provides parents with an assessment of their child's academic progress, based on a comprehensive system of reviews, reports and parent-teacher meetings. Block-A, Gangothri Campus, M/s Venkateshwara Farm, Rajivgandhi Nagar, Vishwaneedam Post, Magadi Main road, Near Sunkadakatte, Bangalore - 560091, Karnataka, India. Copyright © 2016. 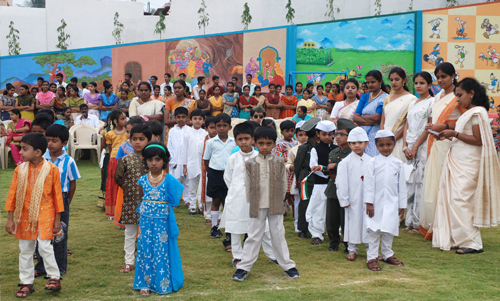 Gangothri International Public School. All Rights Reserved.